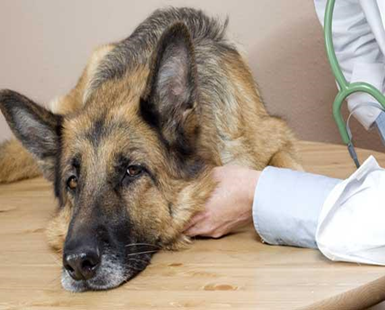 Arthritis in dogs is one of the most common conditions that we treat. Generally older and larger breed dogs are the most affected. Signs of arthritis can range from subtle changes such as increased sleeping to obvious lameness or trouble getting upstairs or into the vehicle. It is important to note that many owners think that the increased sleeping is due to age and do not realize it is due to pain. Pain from arthritis can range from mild to severe. Some arthritic pain is classed at a higher pain level than cancer pain. Arthritis in dogs can really affect their quality of life. There are several very effective strategies for managing arthritis that can reduce or eliminate pain and restore your pets quality of life. One of the first goals is to achieve a lean body weight in your pet. Fat tissue causes arthritis by two ways. Firstly increased stress on the joints from carrying extra weight leads to increased wear and tear that causes arthritis. Not as commonly known is that fat tissue is a gland that releases hormones that promote inflammation in the joints. Even modest weight loss can be very helpful for an arthritic patient. Non-steroidal anti-inflammatory drugs reduce or eliminate the pain associated with arthritis. This is very important because a comfortable dog moves and exercises more which keeps the supporting muscles strong and will help stabilize joints and slow the arthritic process. Leash walking including hill walking can be helpful for muscle strength. Keep in mind exercise from ball throwing and Frisbee chasing causes too many sudden turns and changes in direction and will stimulate inflammation in the joints. Arthritic dogs respond exceedingly well to a medication called Cartrophen. This medication improves the health of the joints. It achieves this by increasing joint fluid, stimulating cartilage to repair, increasing blood supply and blocking the release of enzymes into the joints that cause arthritis to get worse. This medication is often used in combination with a non-steroidal anti-inflammatory. Omega three fatty acids have a powerful anti-inflammatory effect on arthritis and should be included in a multi modal treatment plan. Physiotherapy through massage and passive range of motion will decrease pain levels and keep up flexibility. There are some simple but important things that can be done at home to improve your dog’s quality of life. Elevate his/her food and water bowl so that they do not have to bend their elbows (for a dog it can be like doing a "push-up") to eat or drink. Provide warm and non-slippery flooring where your dog sleeps. Laying on hard and cold surfaces will promote painful joint inflammation. A warm and well cushioned bed will provide comfort. Remember cold and damp weather makes arthritis feel worse. Provide non slip mats on slippery surfaces where your dog needs to walk including stairways. It is important to remember that your pet does not need to silently suffer the effects of arthritis. In partnership, we can work together to improve his/her quality of life!